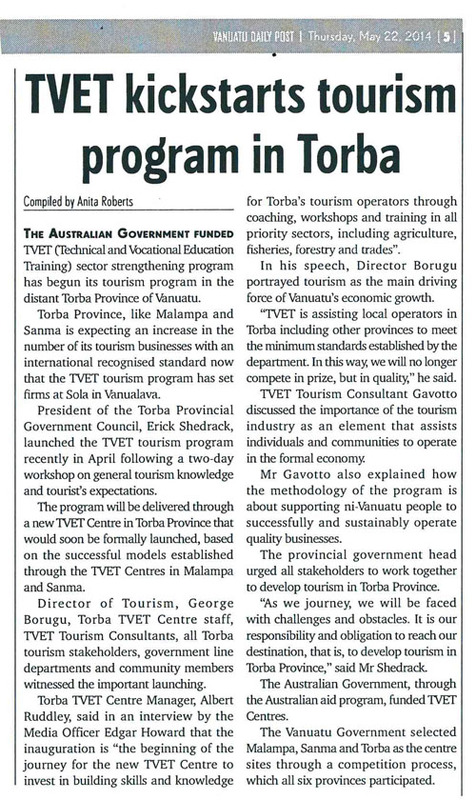 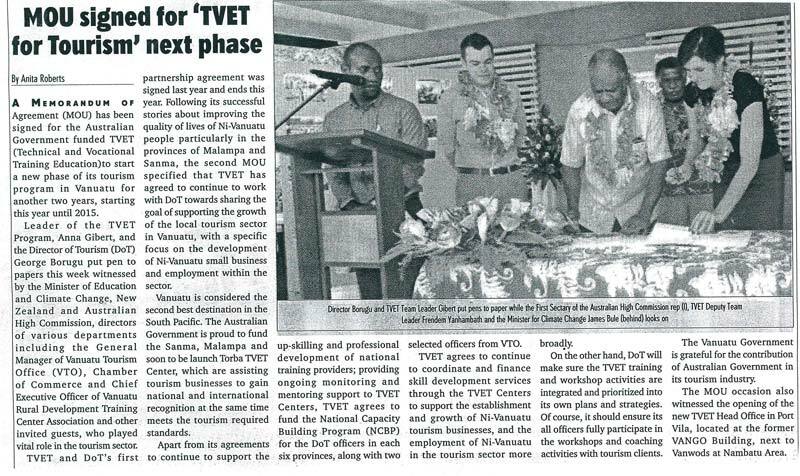 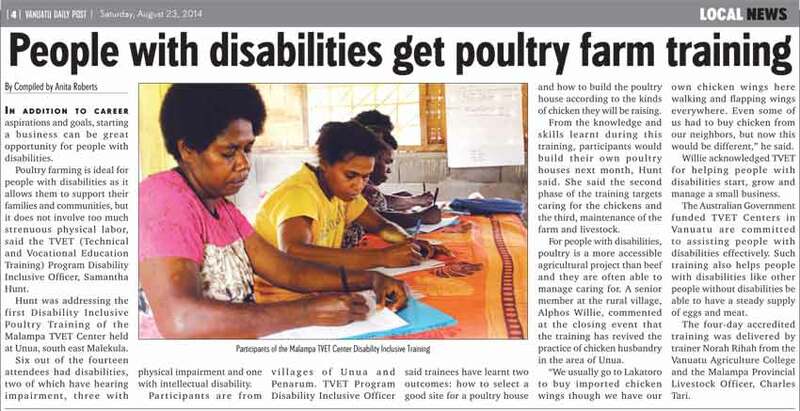 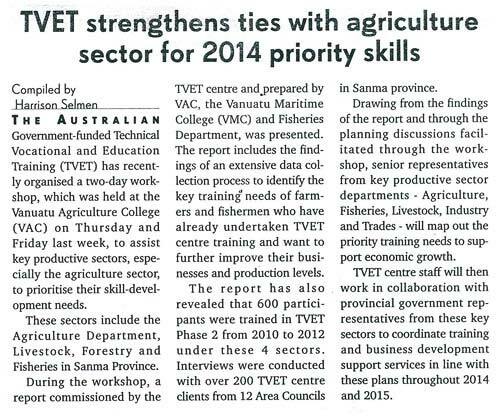 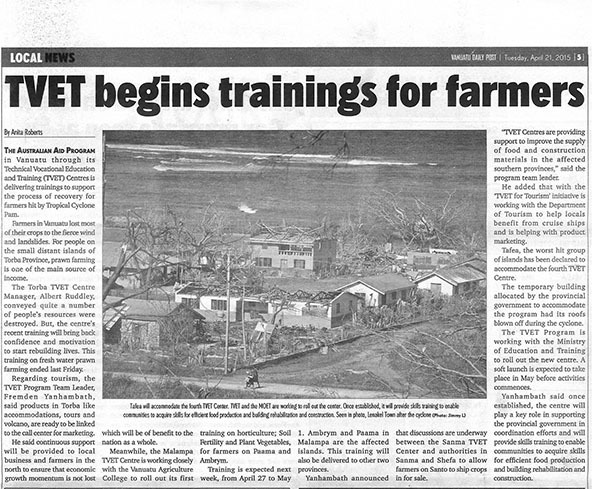 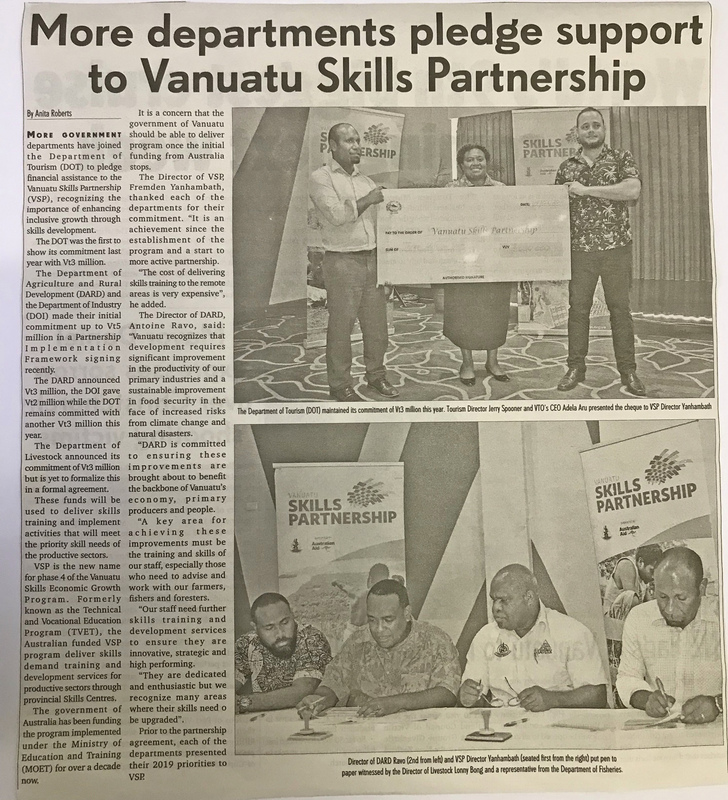 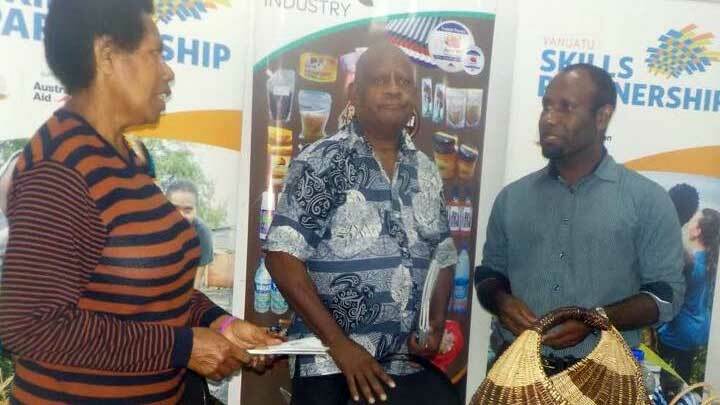 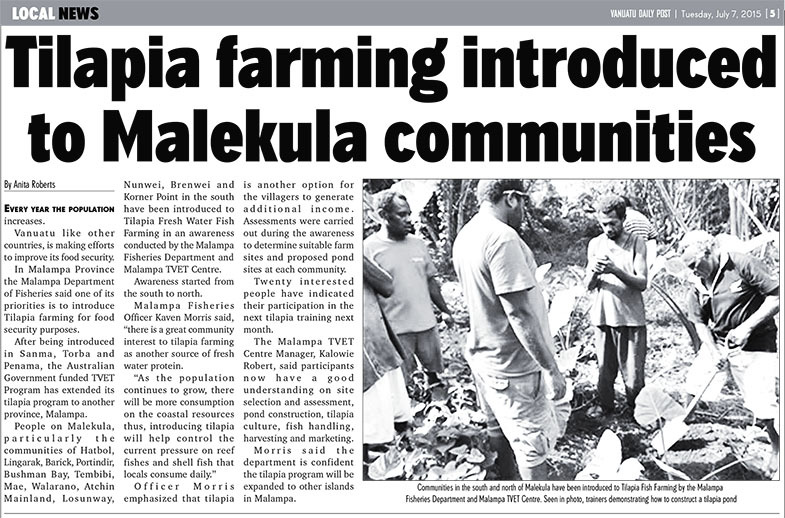 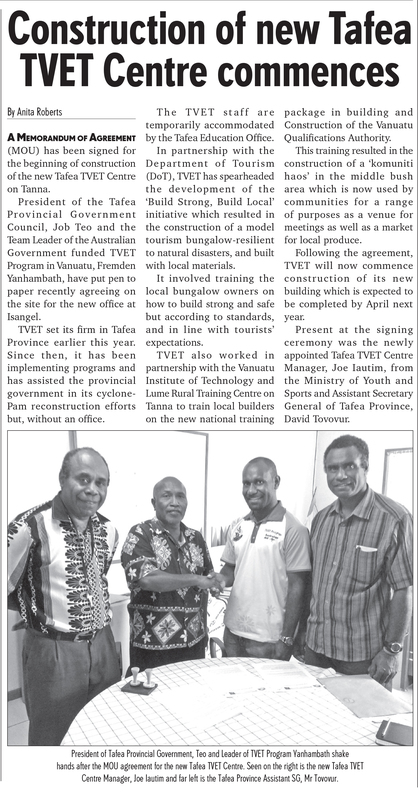 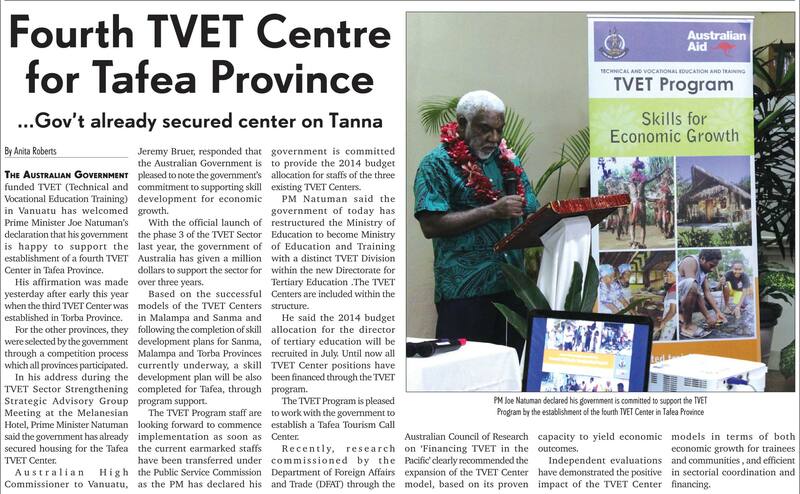 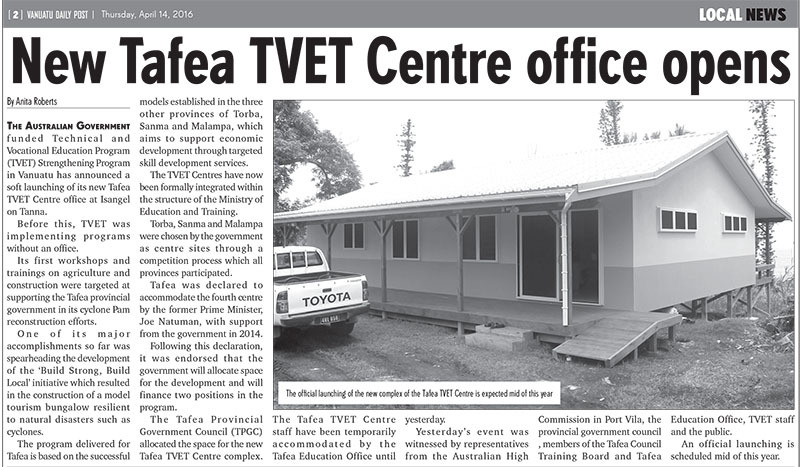 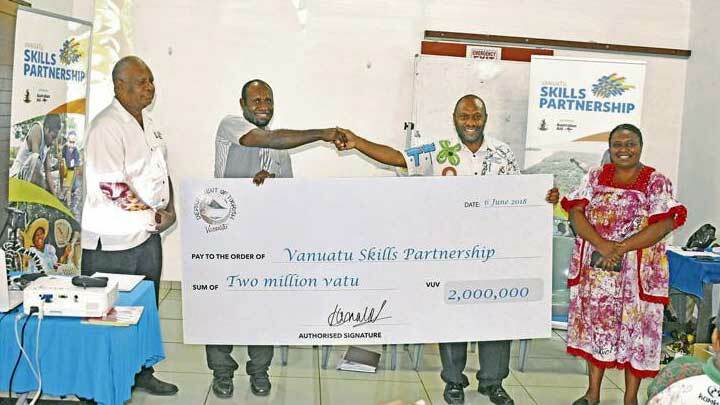 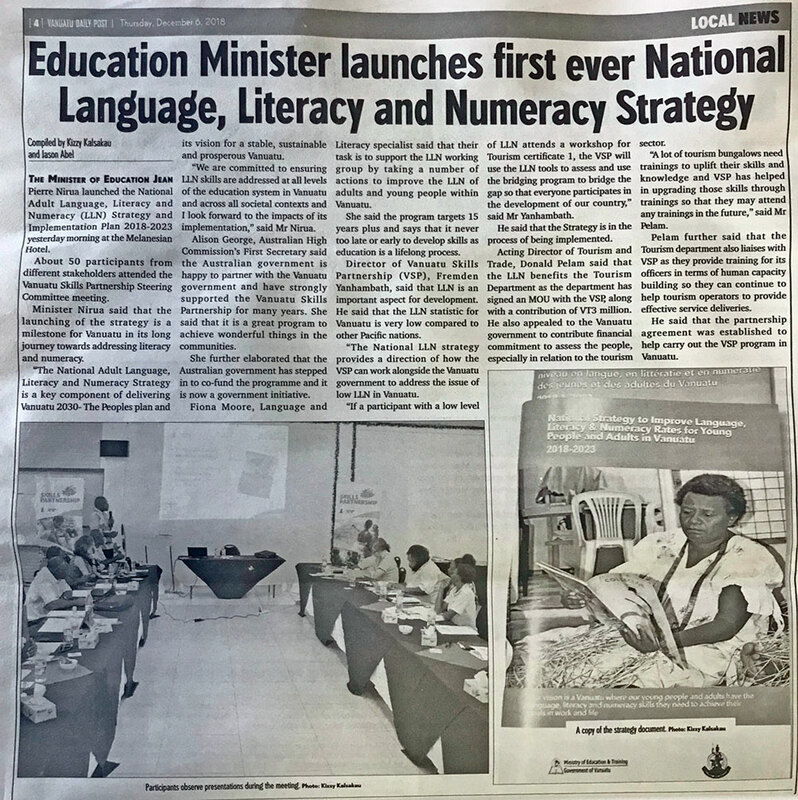 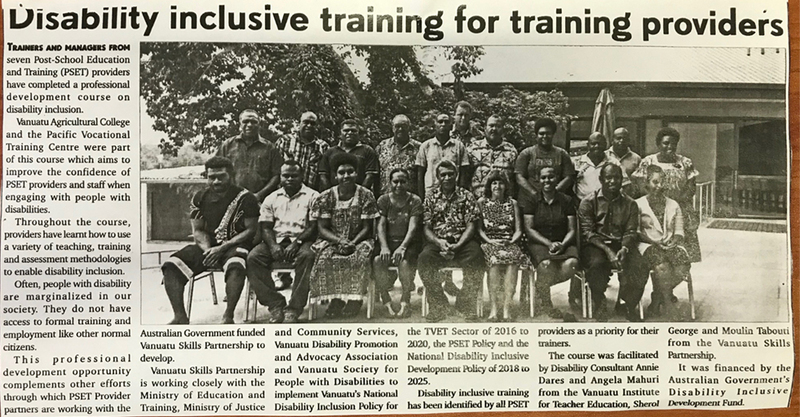 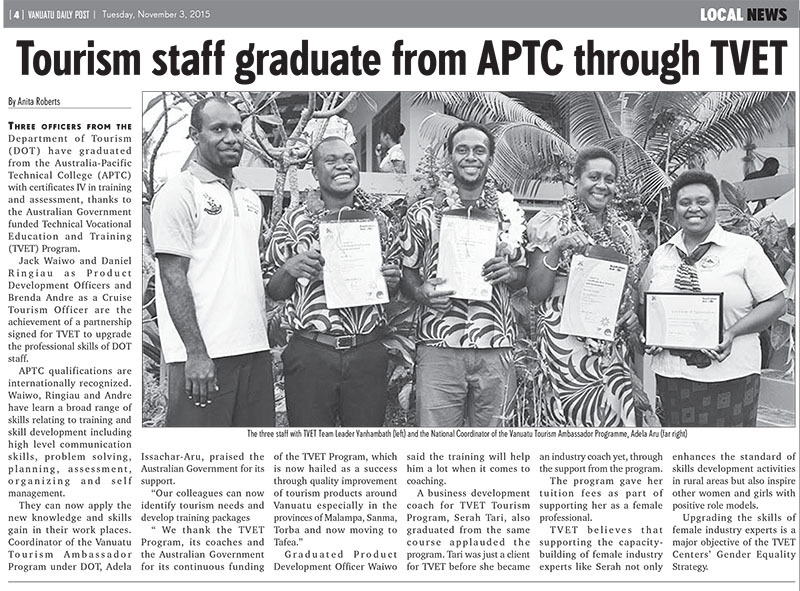 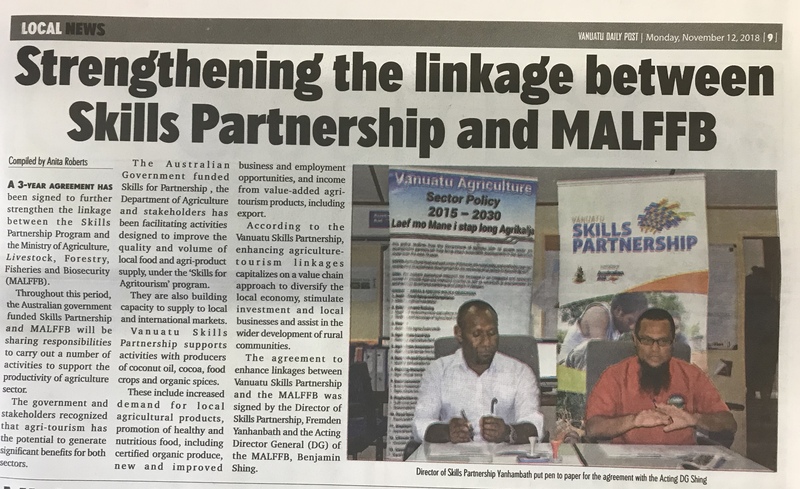 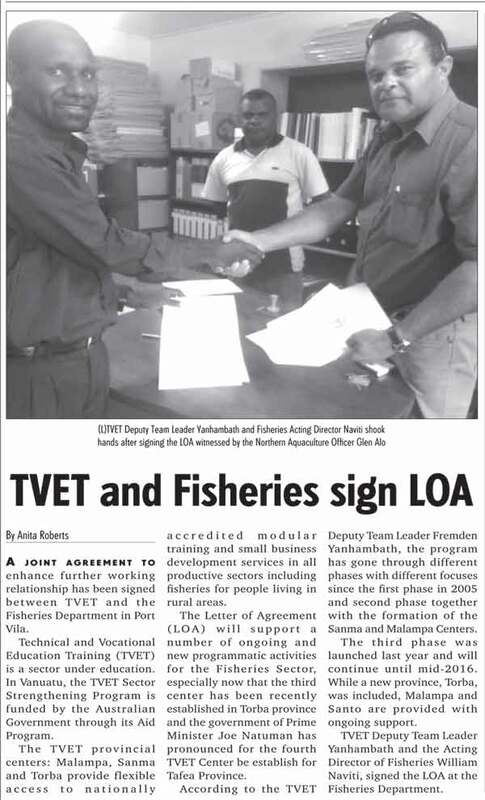 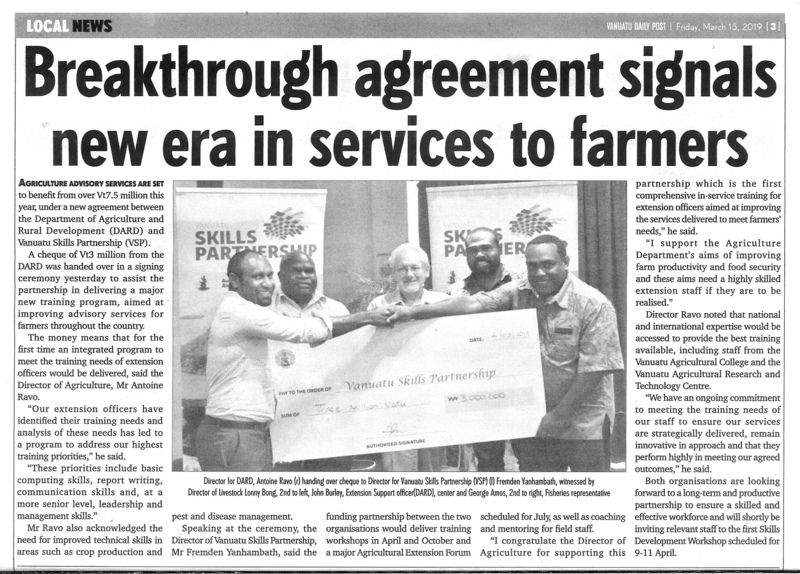 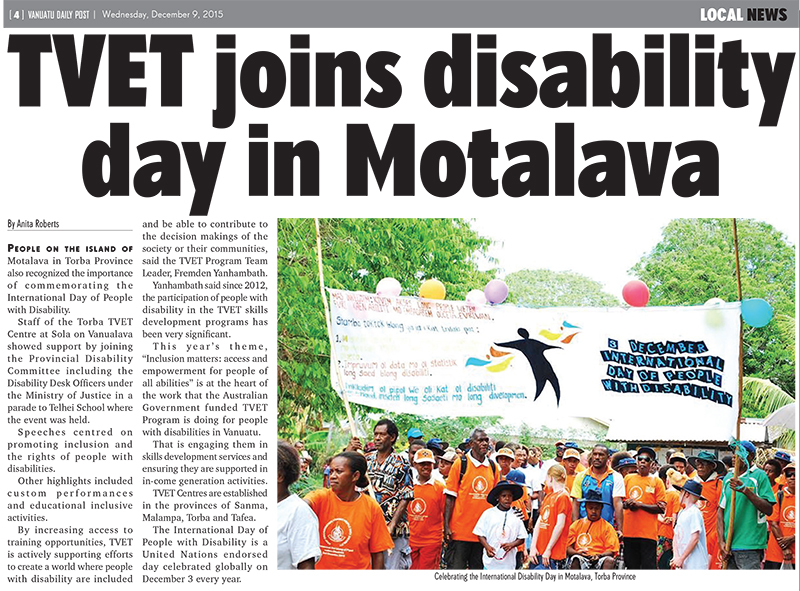 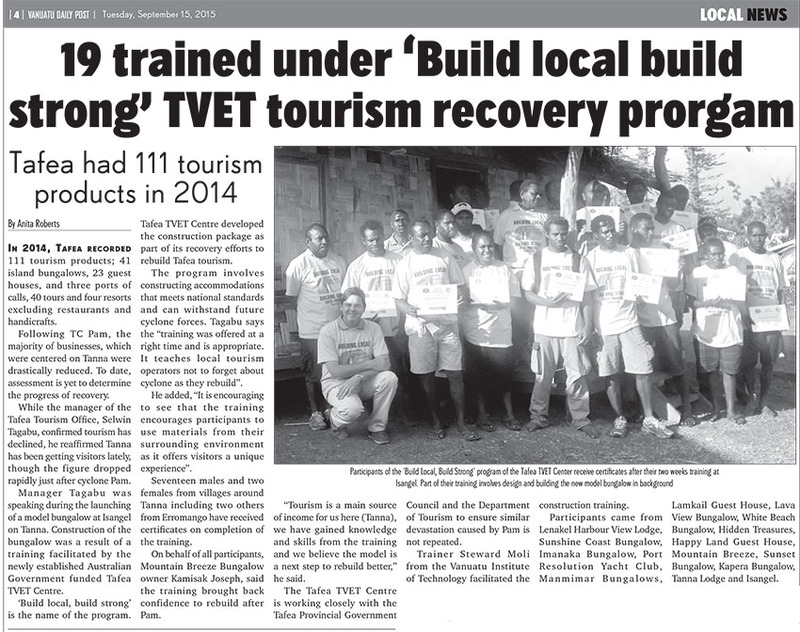 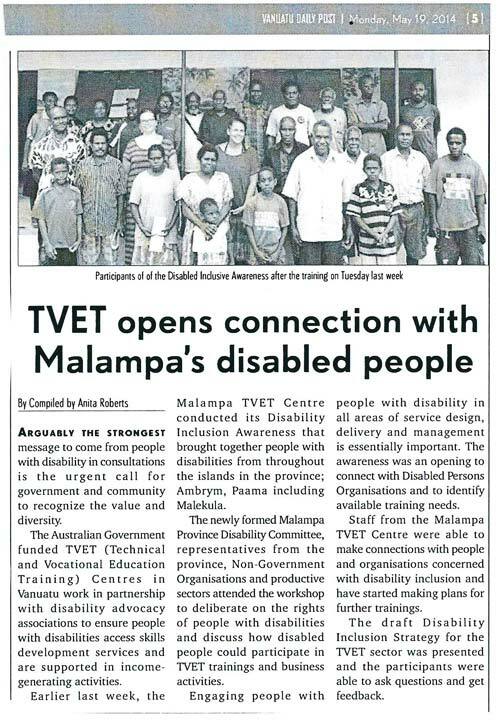 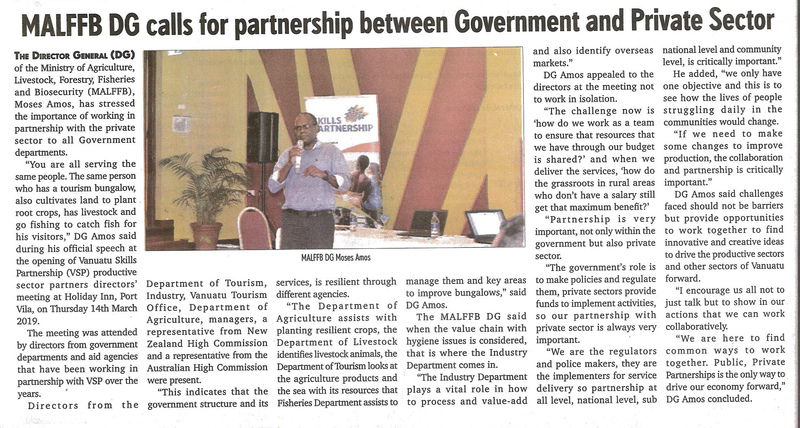 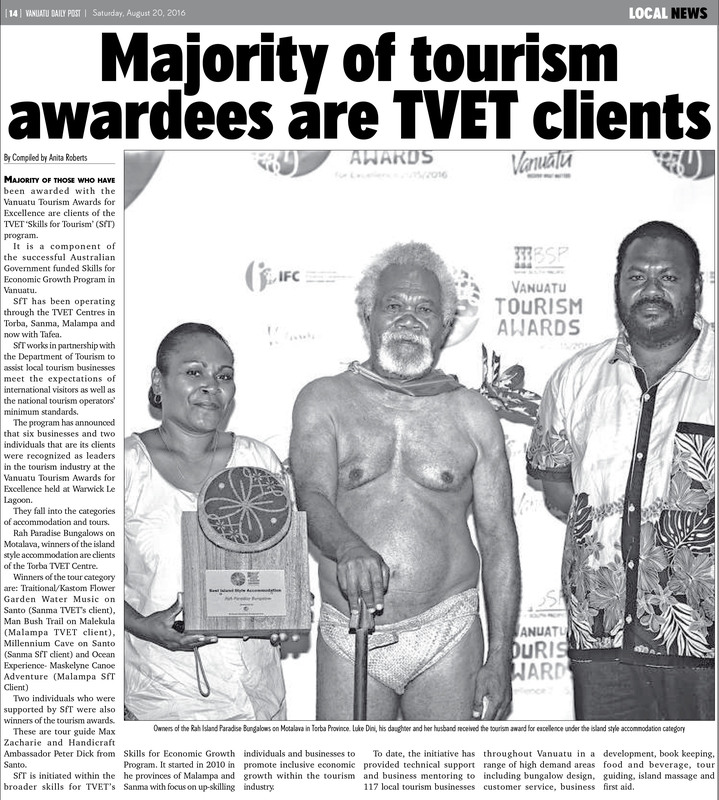 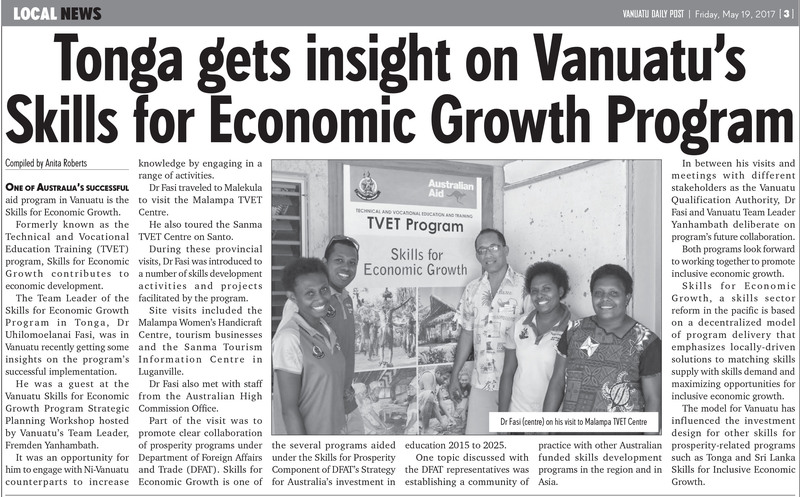 The Department of Tourism has donated VT two million to the Vanuatu Skills Partnership as an initiative to support their work in upskilling workers. 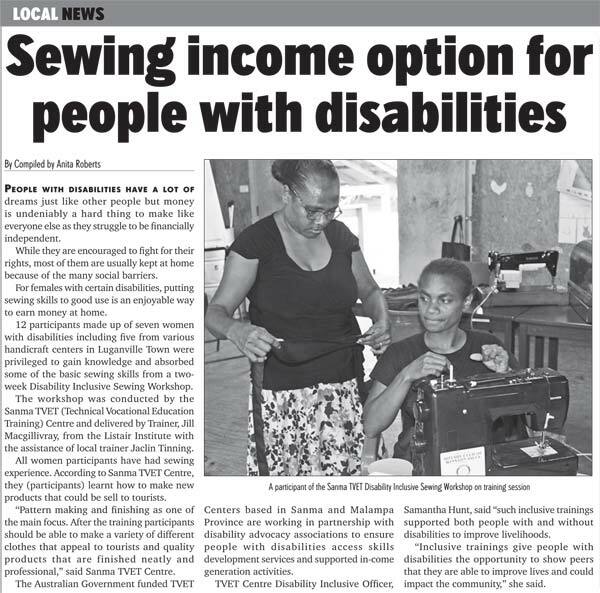 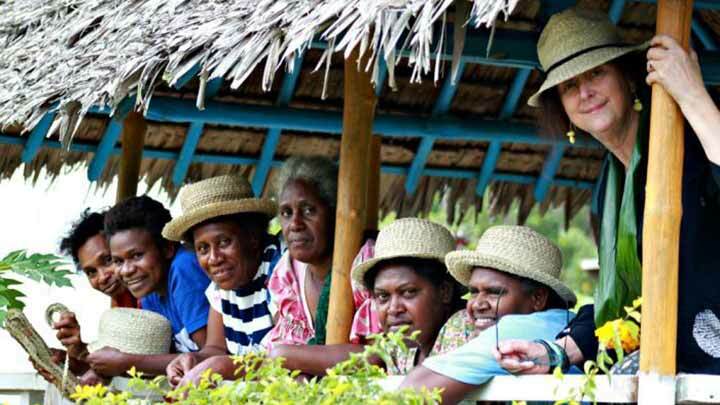 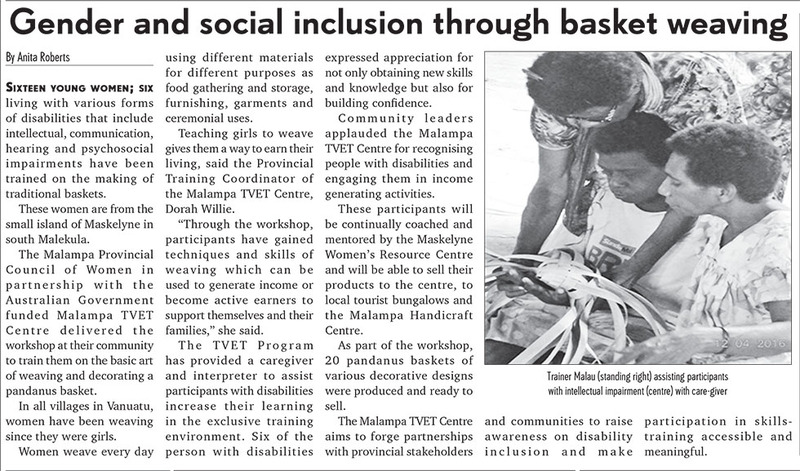 Over the past several years the Sydney-based milliner has been working with disadvantaged women in rural areas of Vanuatu. 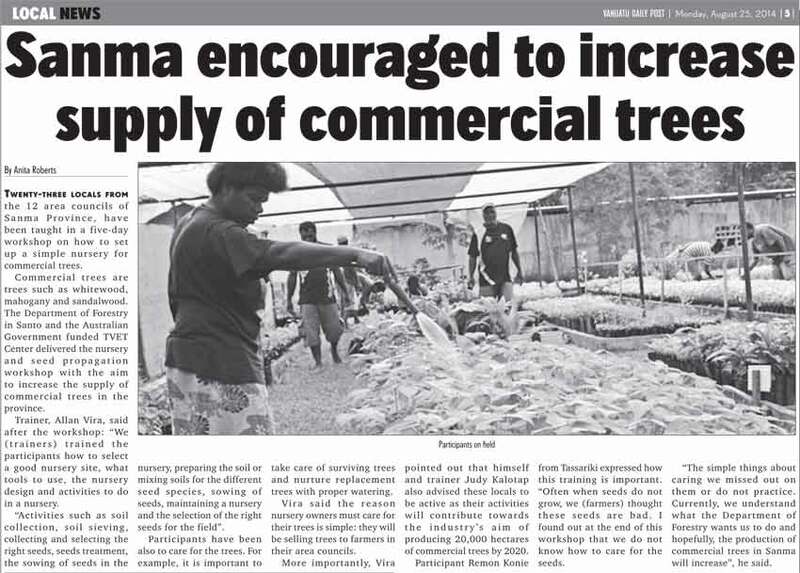 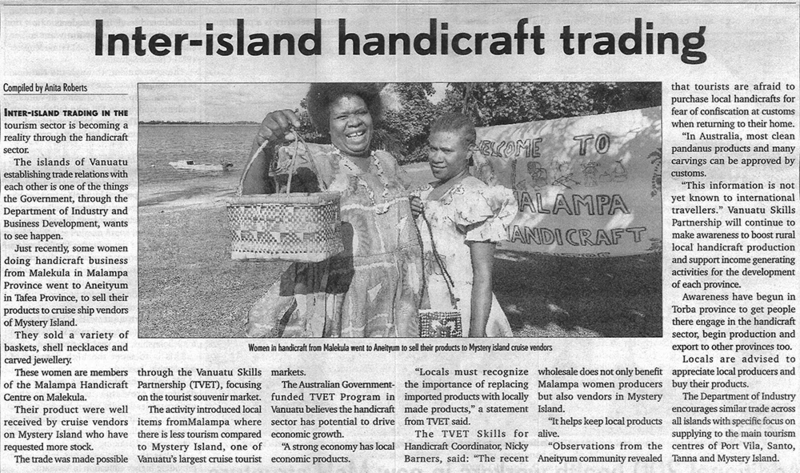 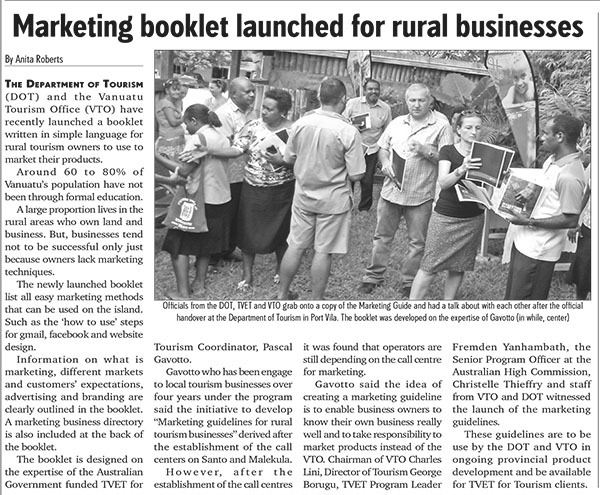 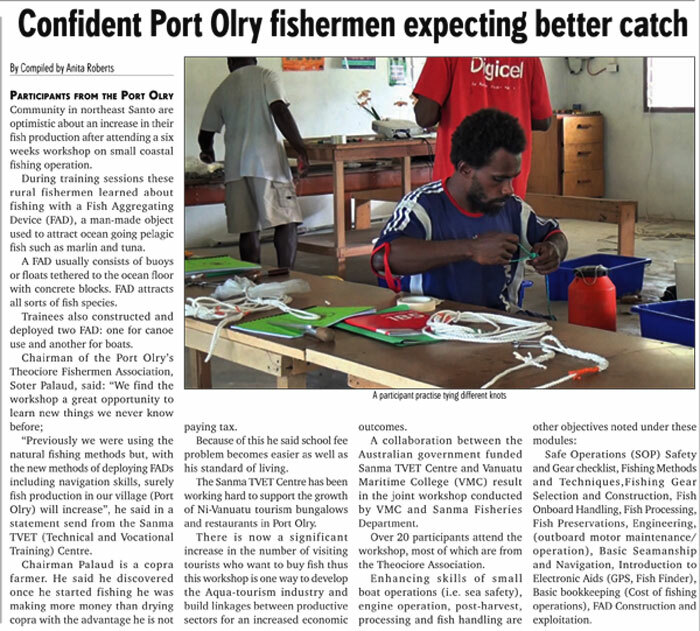 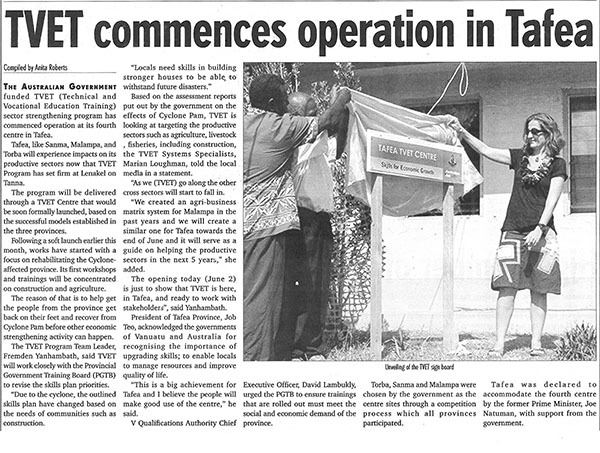 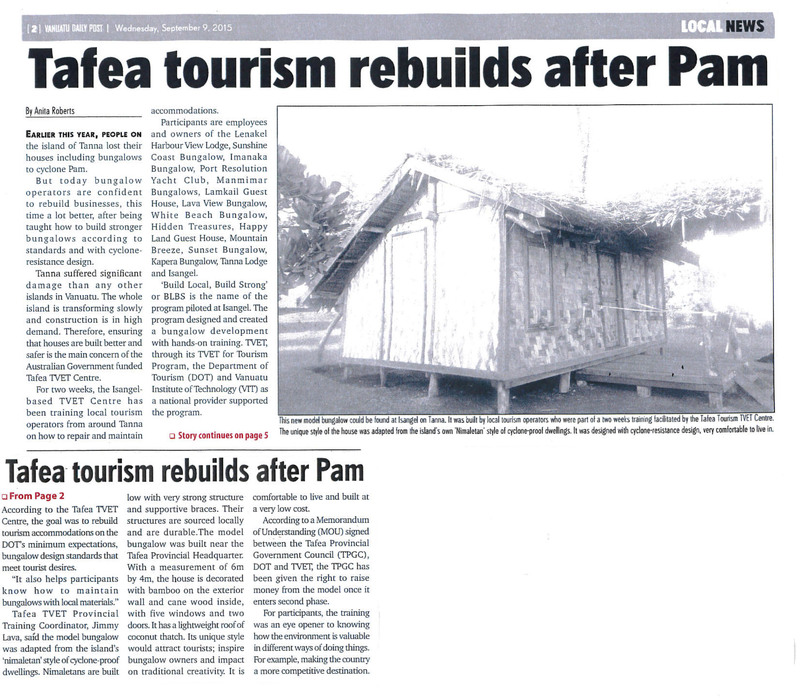 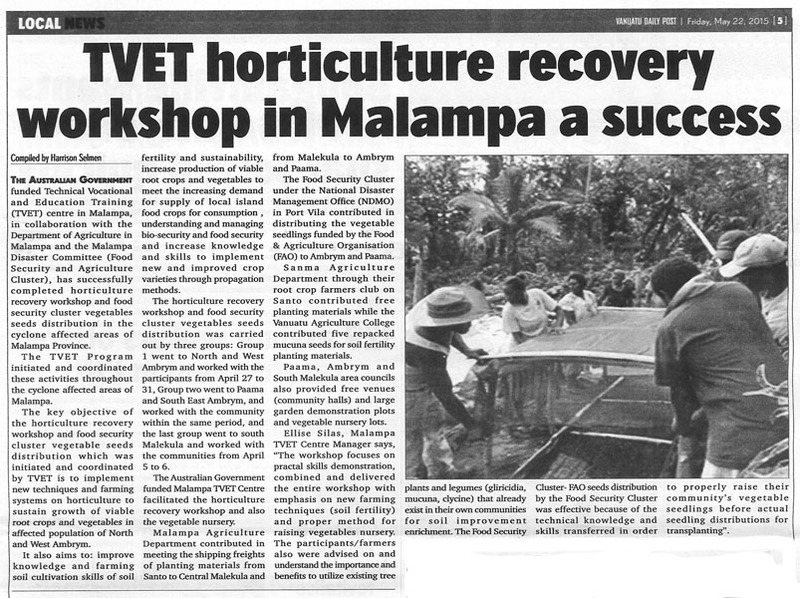 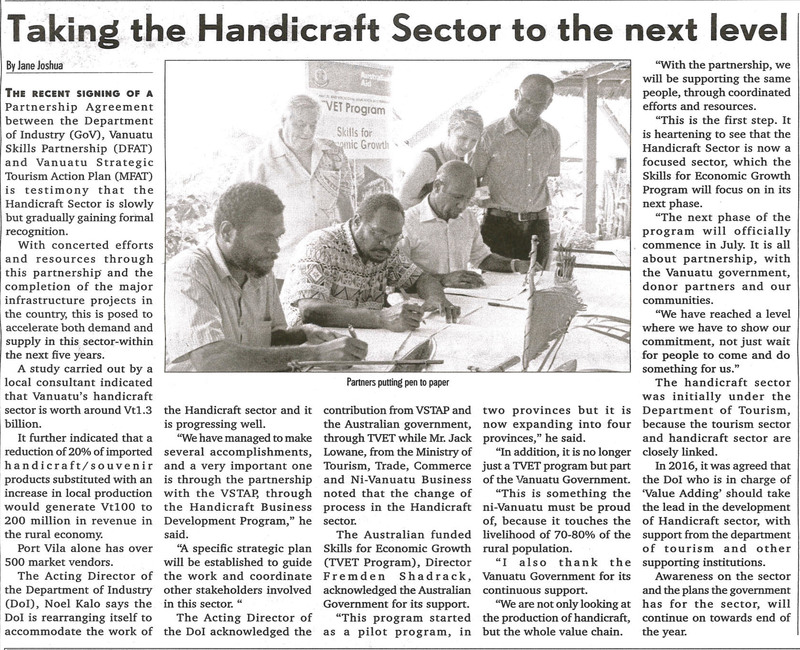 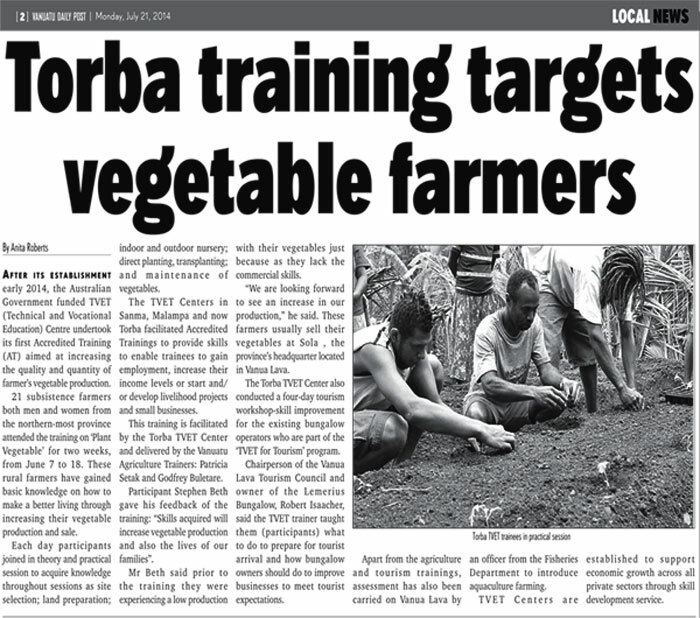 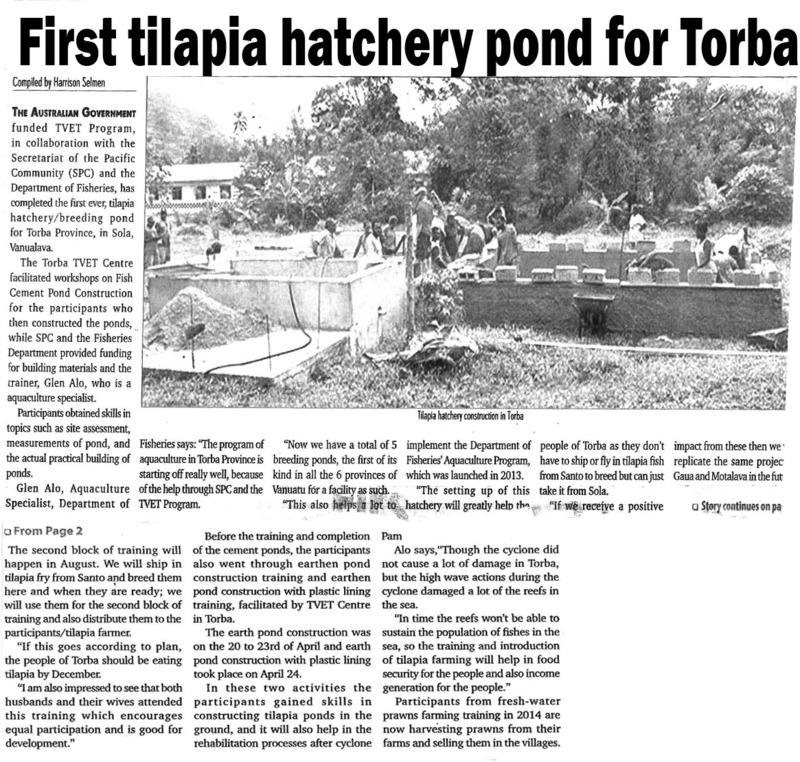 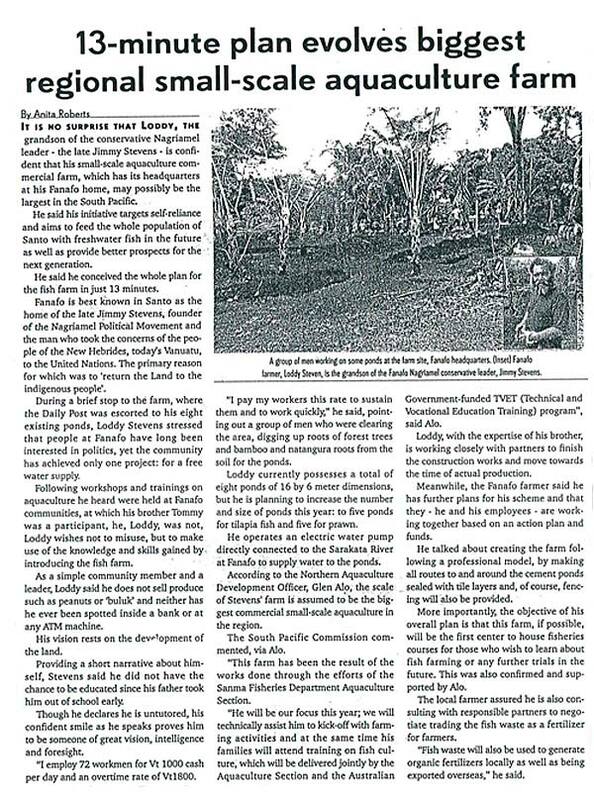 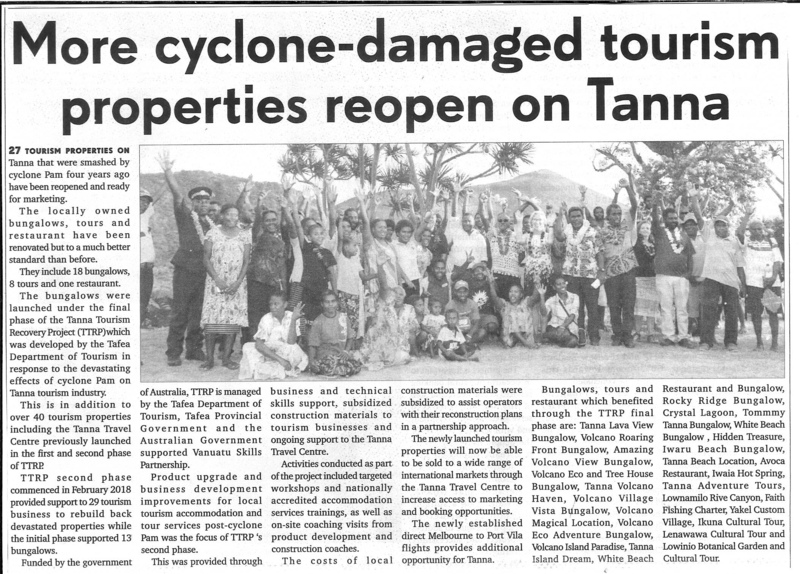 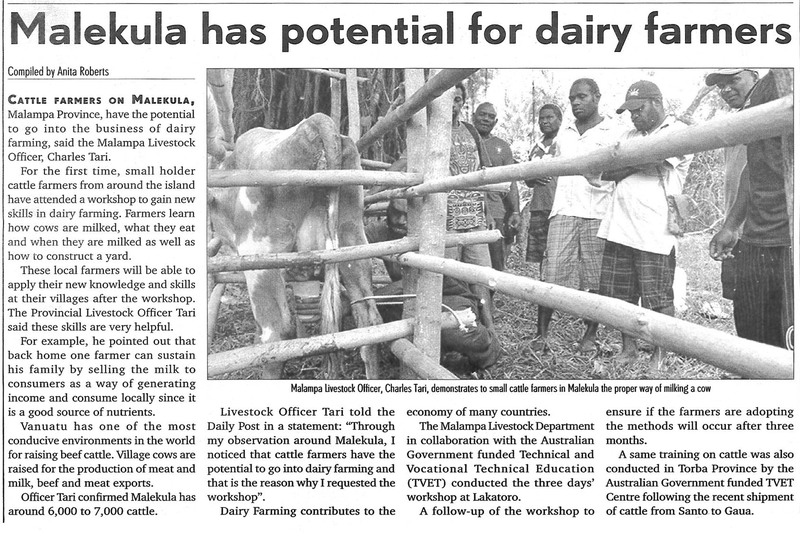 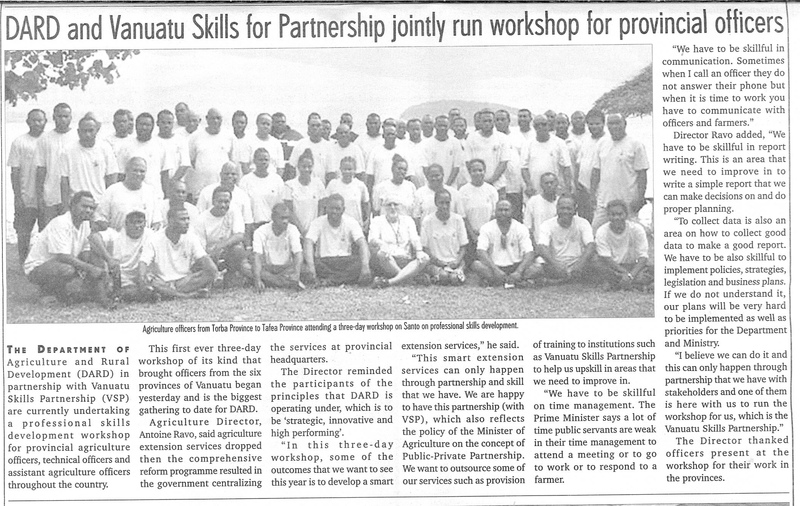 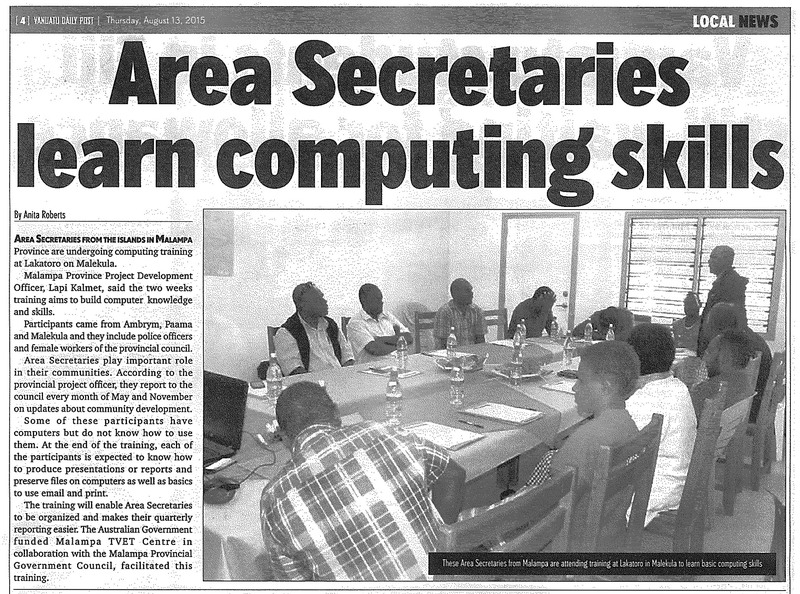 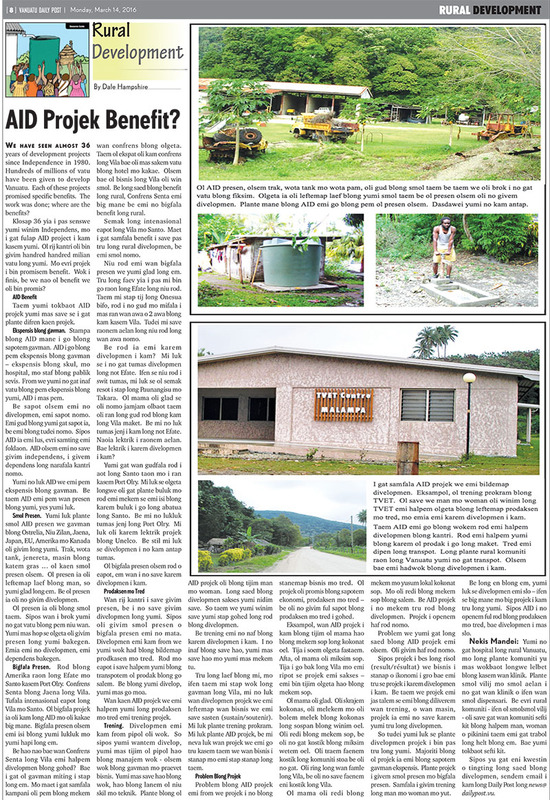 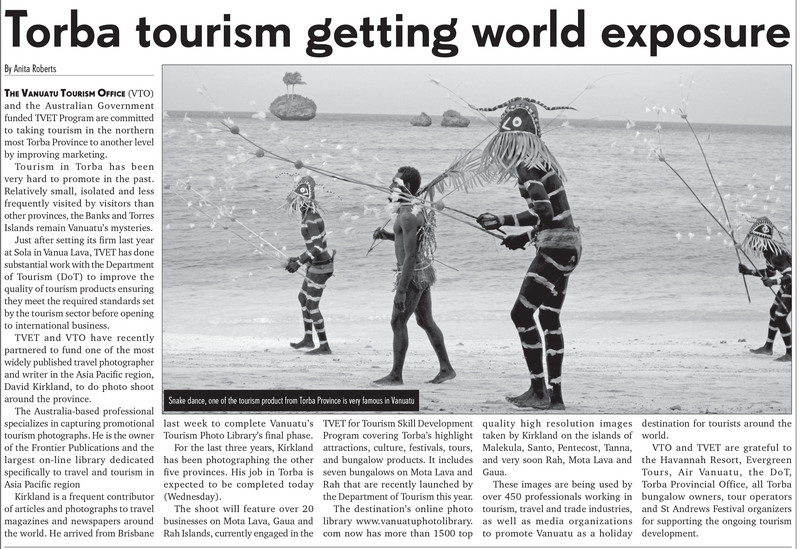 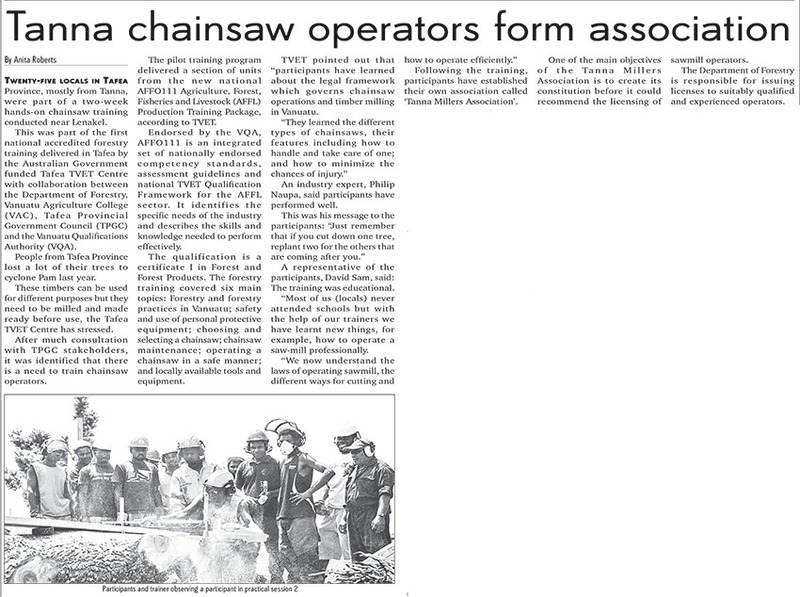 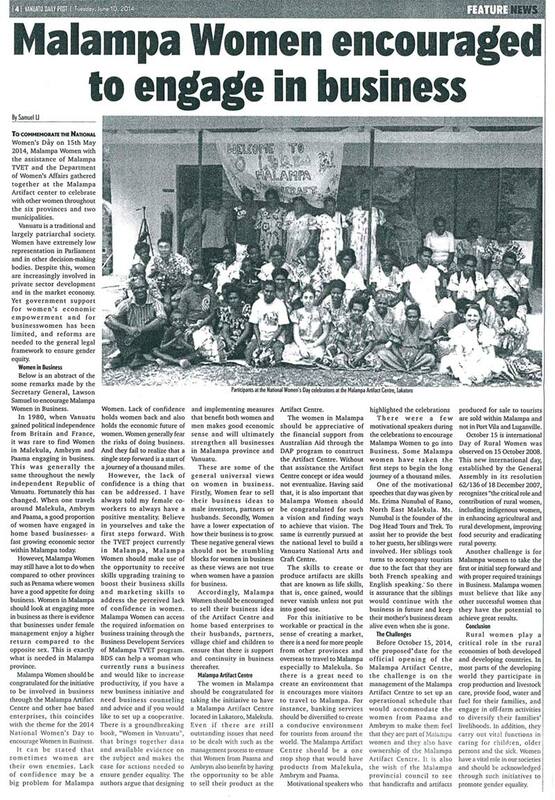 In Vanuatu, a four-year Handicraft Sector Action Plan has been launched by the Department of Tourism Development.